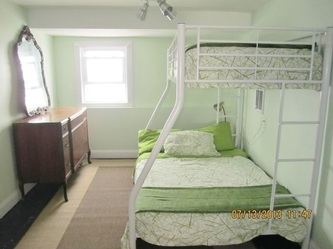 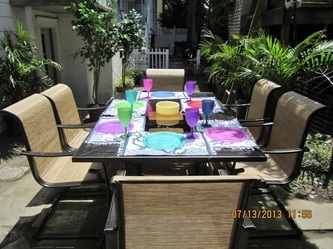 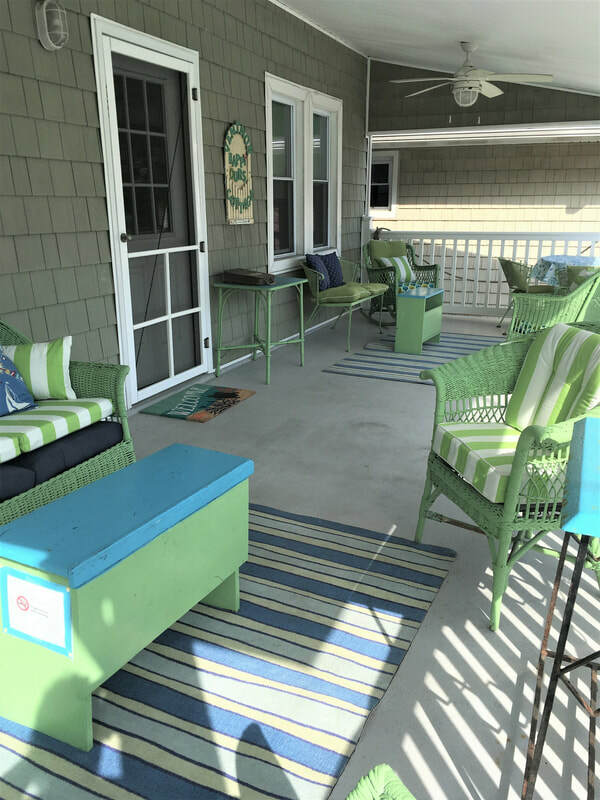 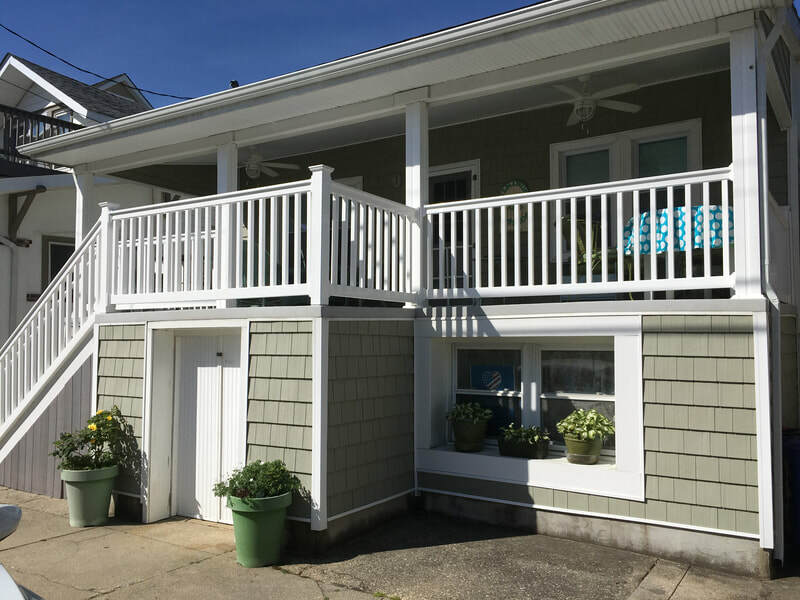 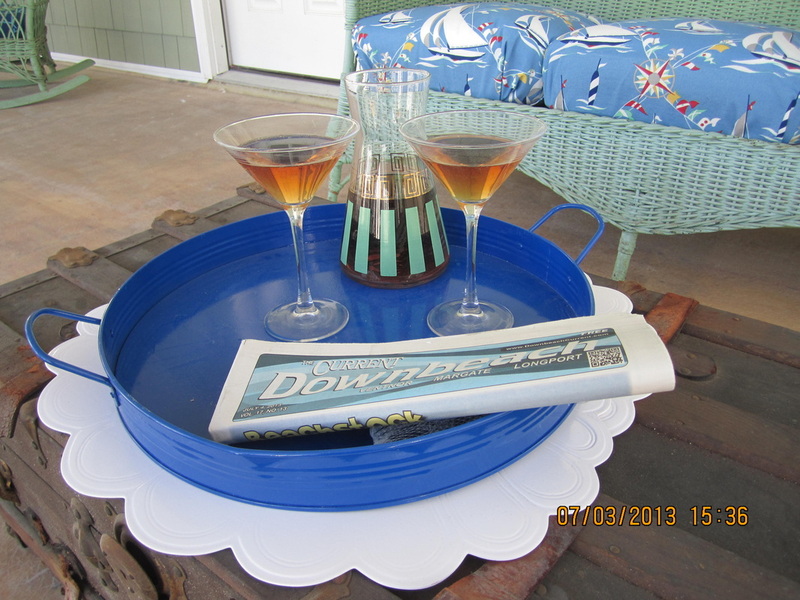 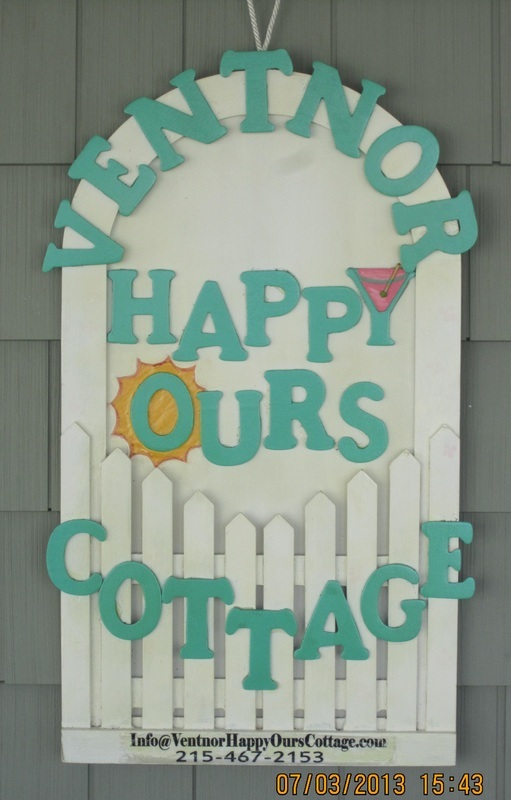 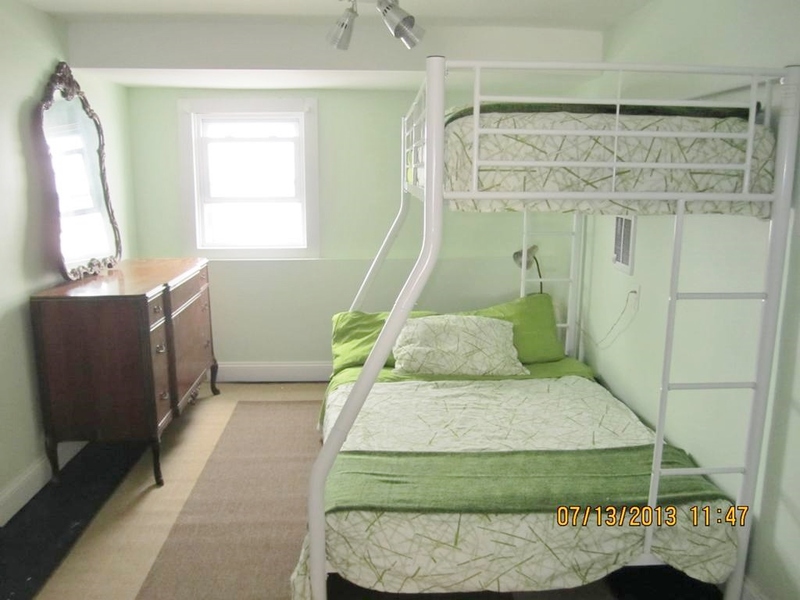 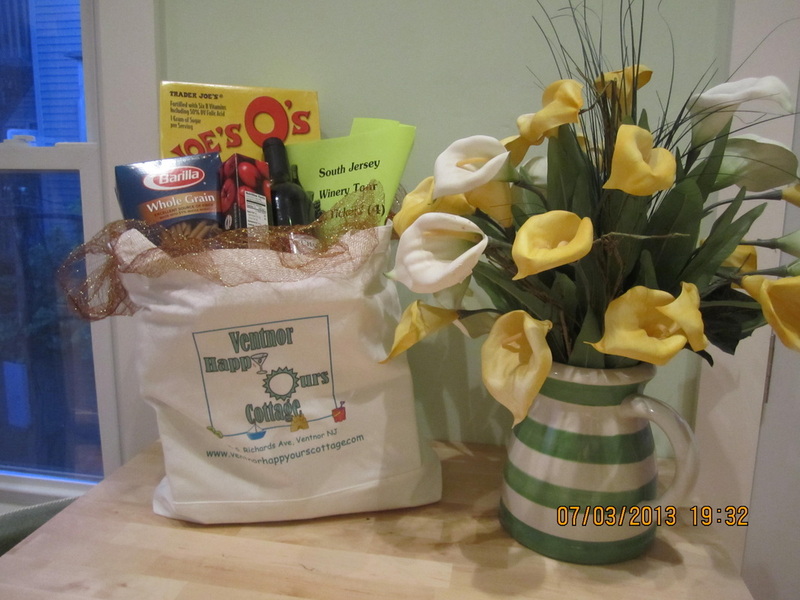 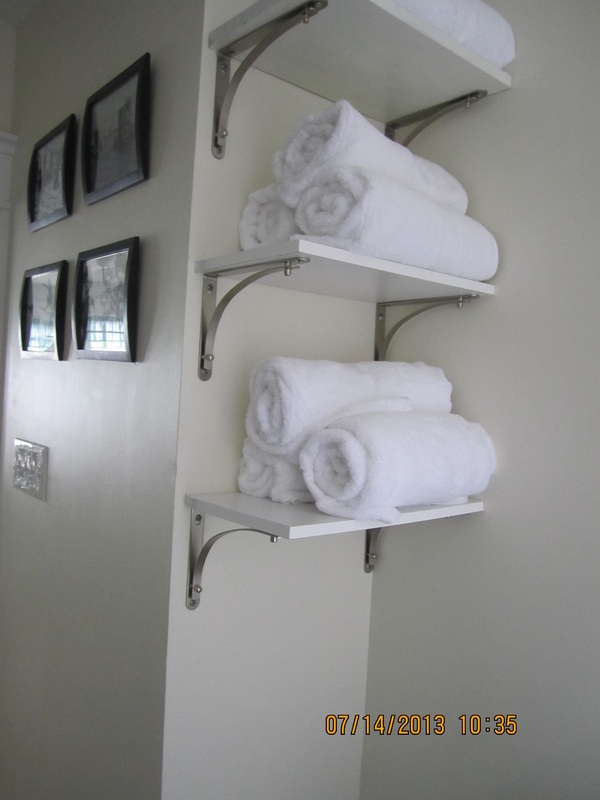 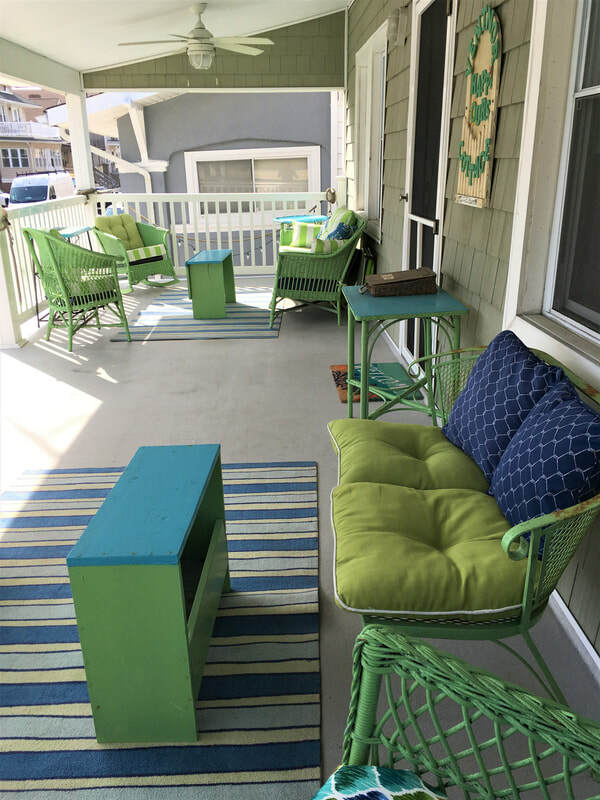 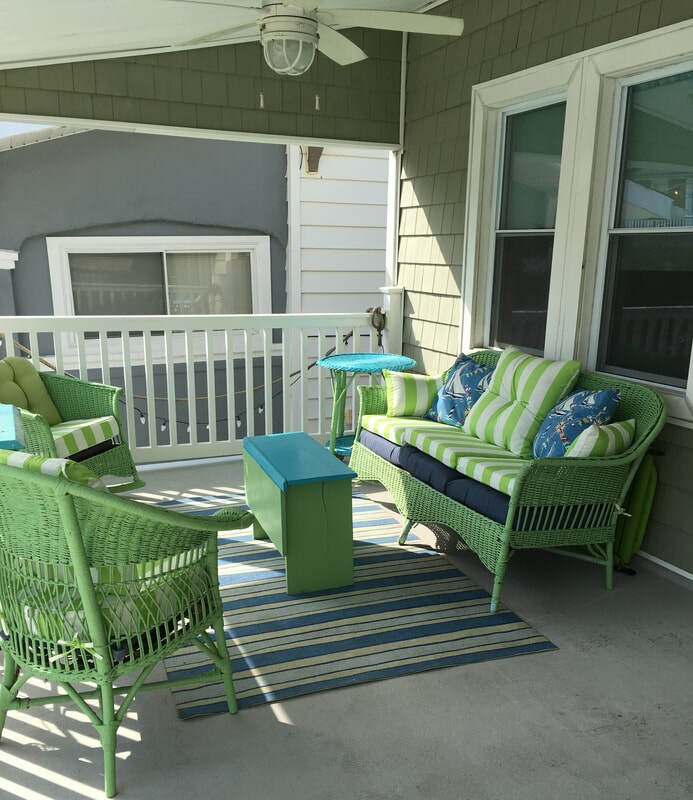 After extensive remodeling, The Ventnor Happy Ours Cottage opened in 2013. We have enjoyed meeting each new season of delightful guests. 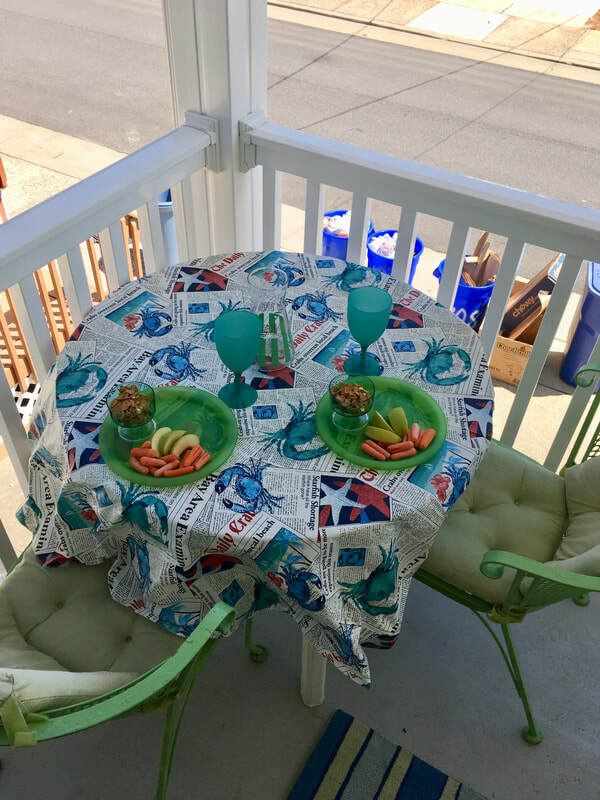 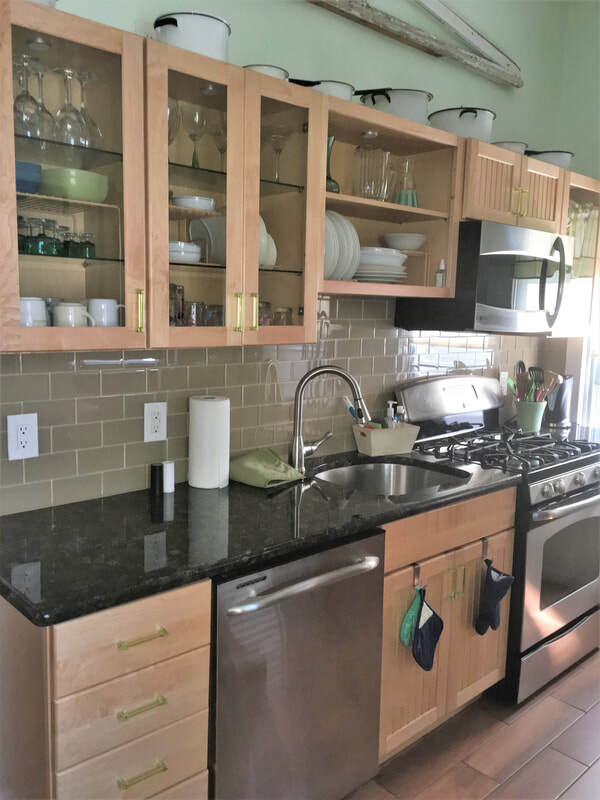 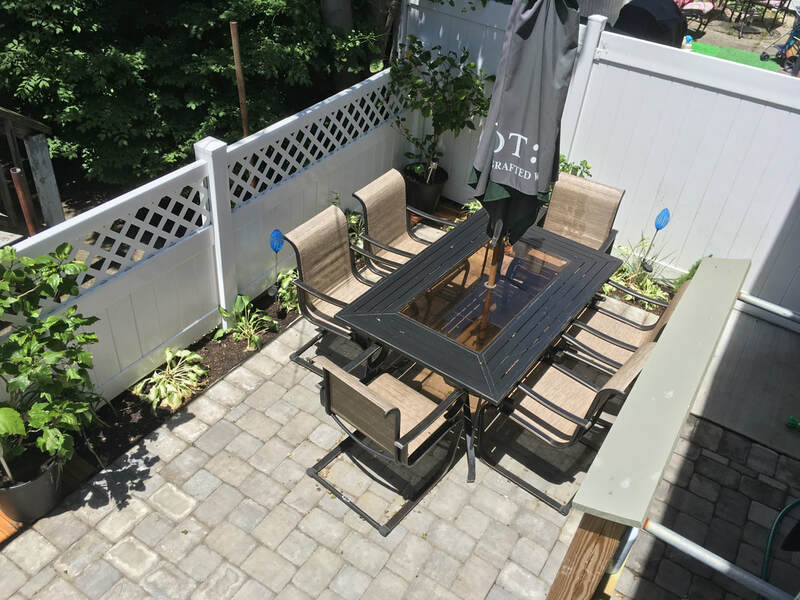 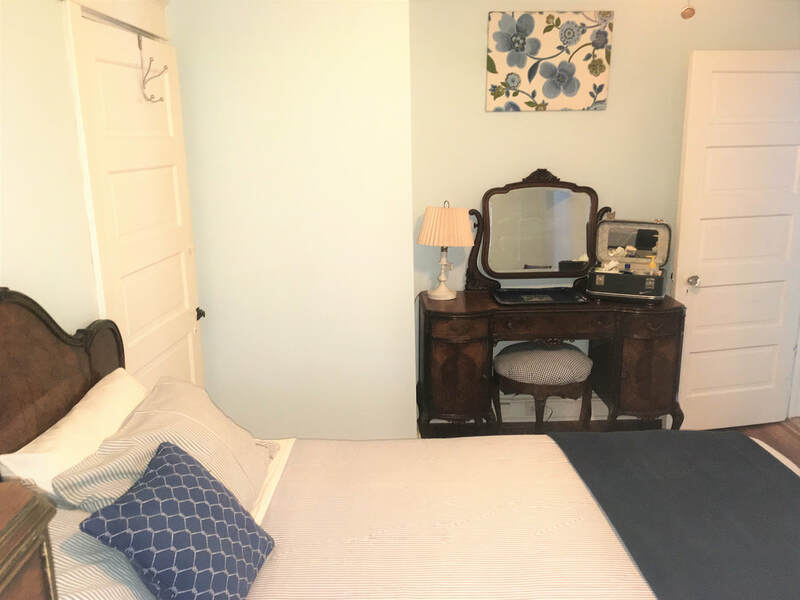 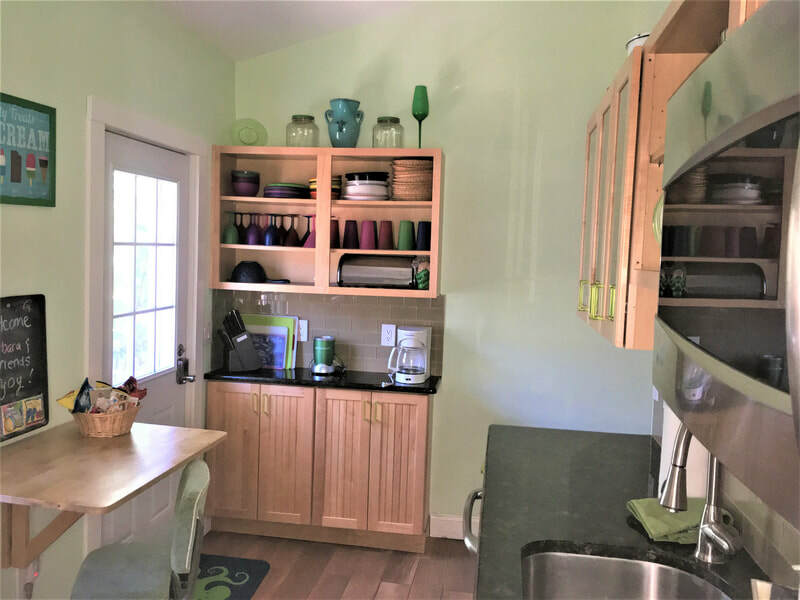 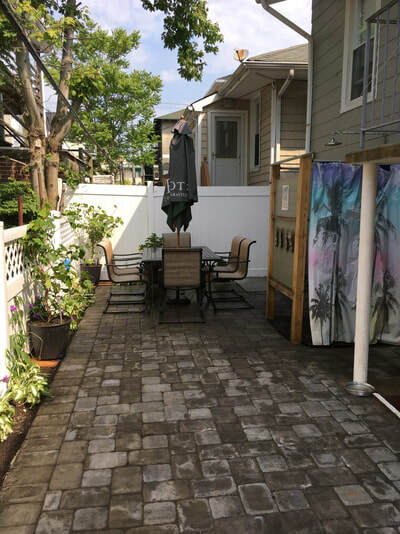 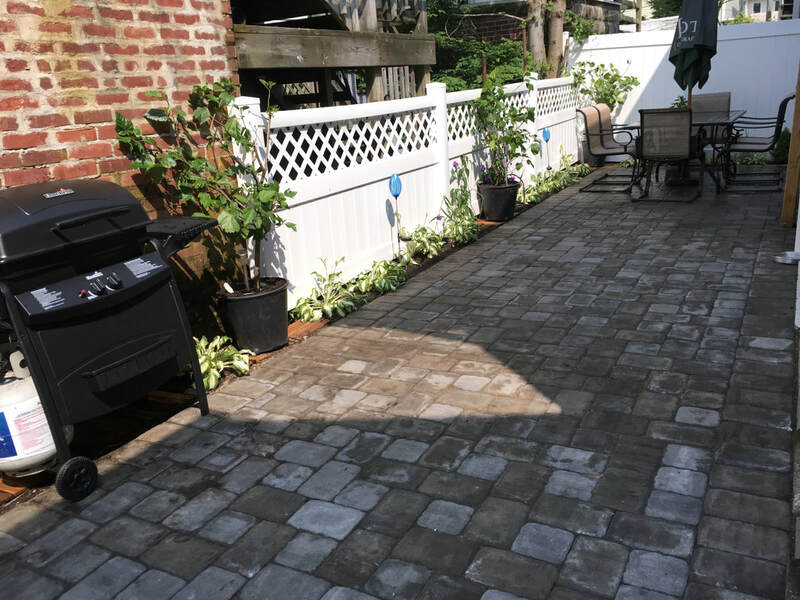 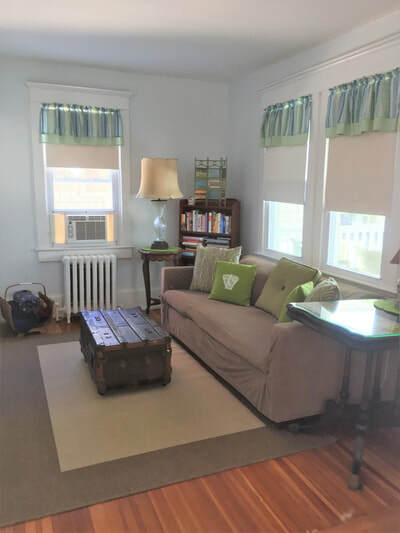 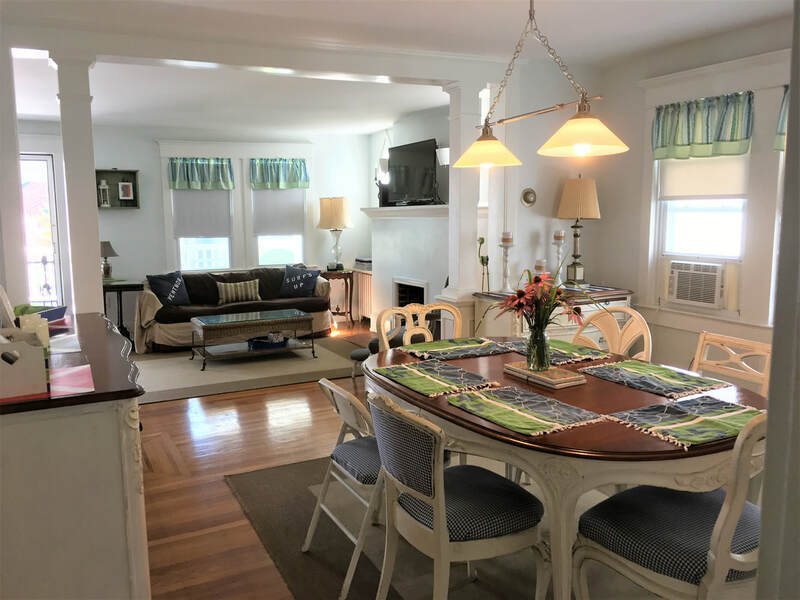 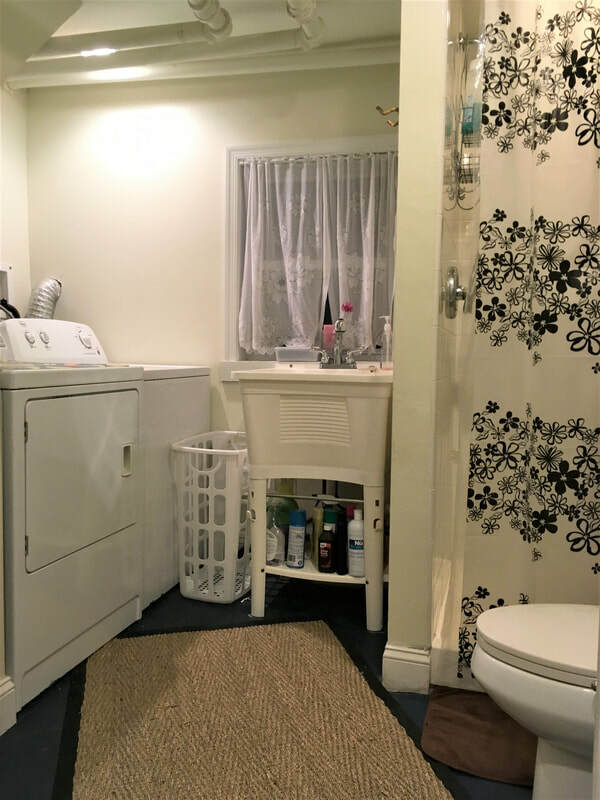 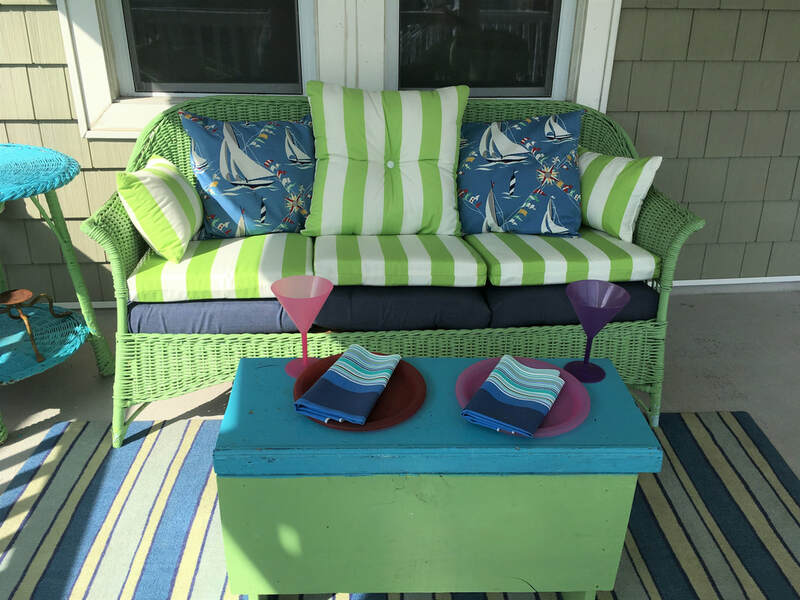 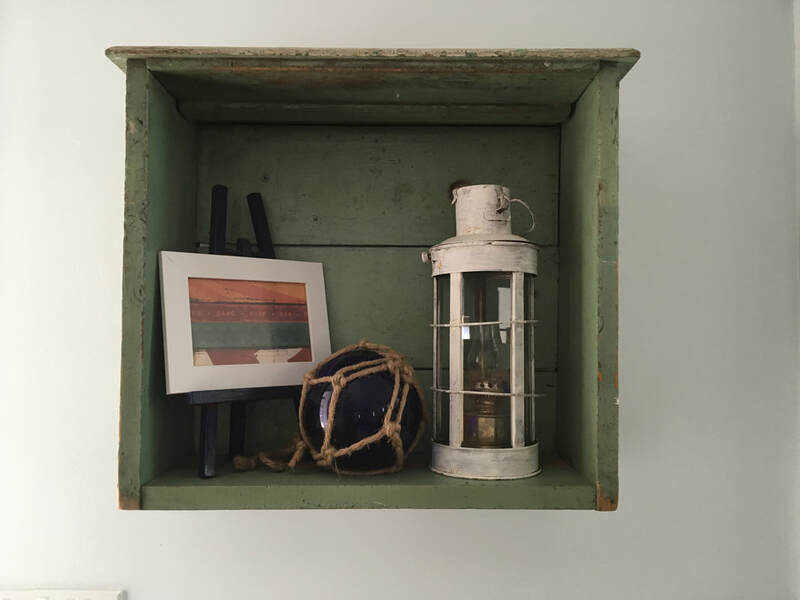 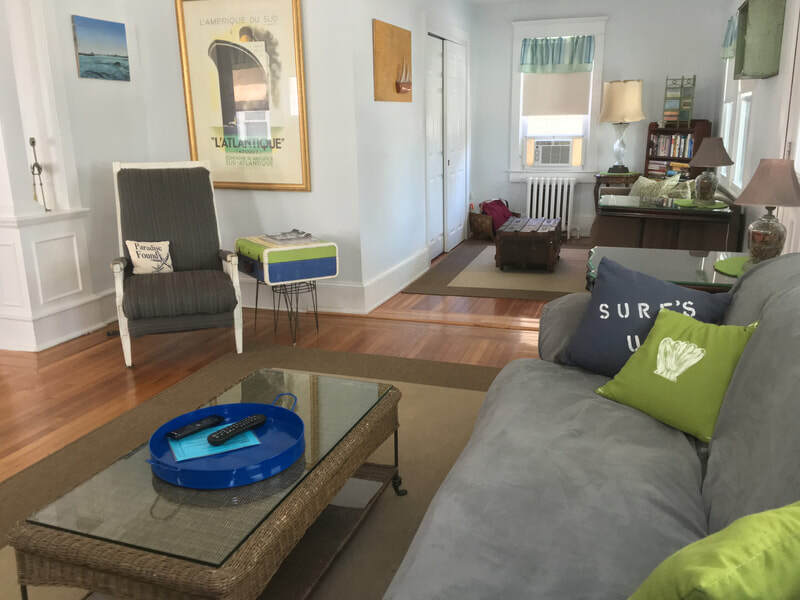 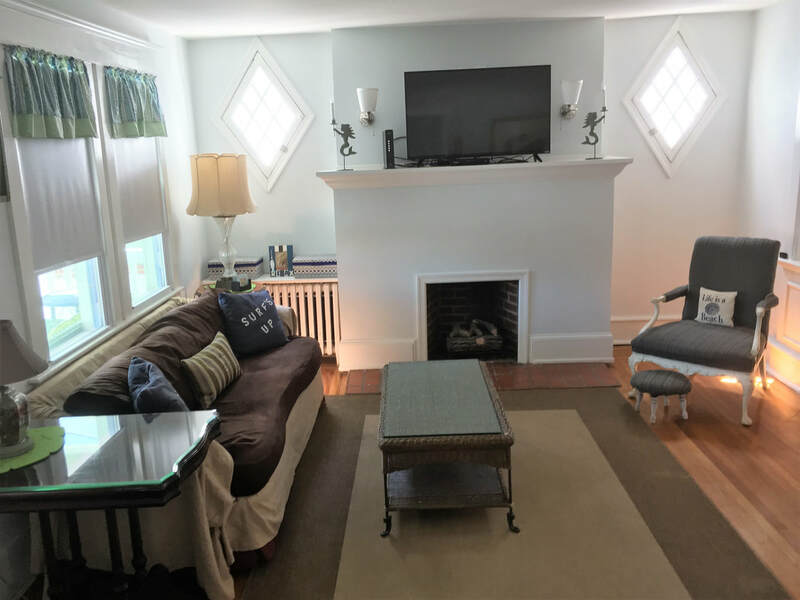 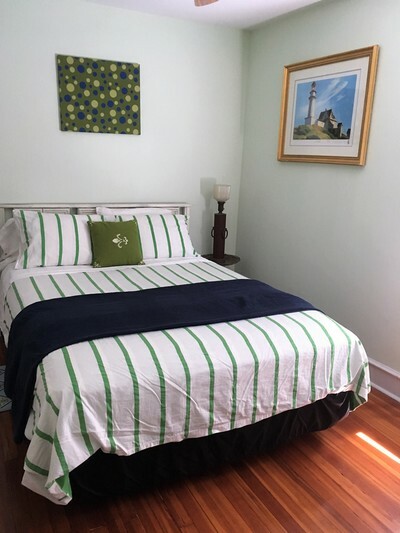 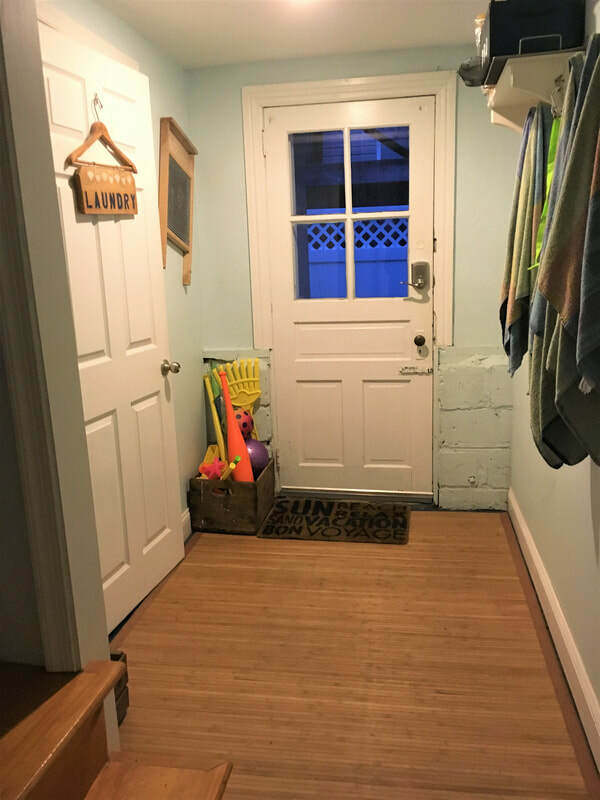 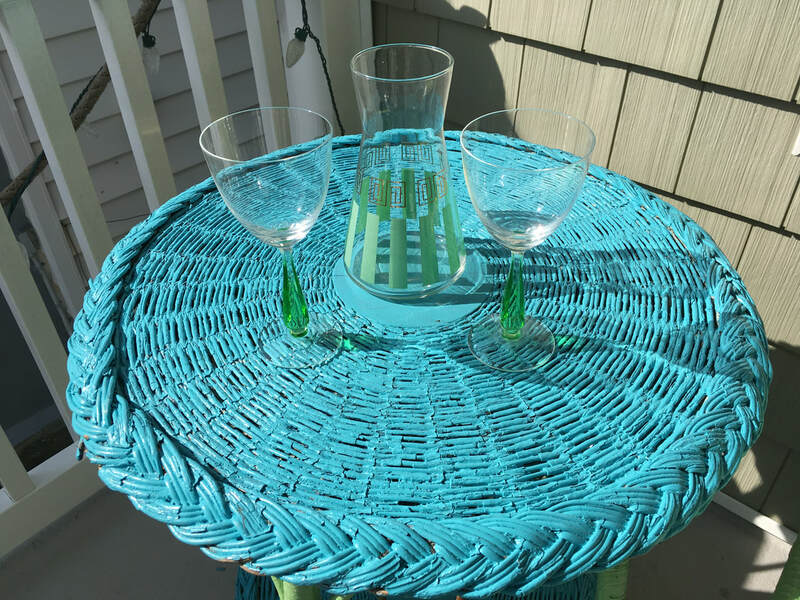 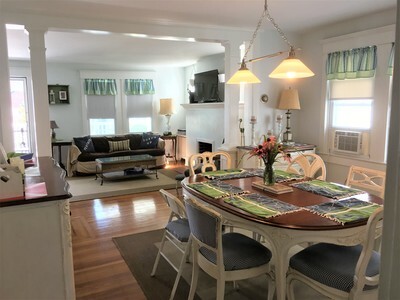 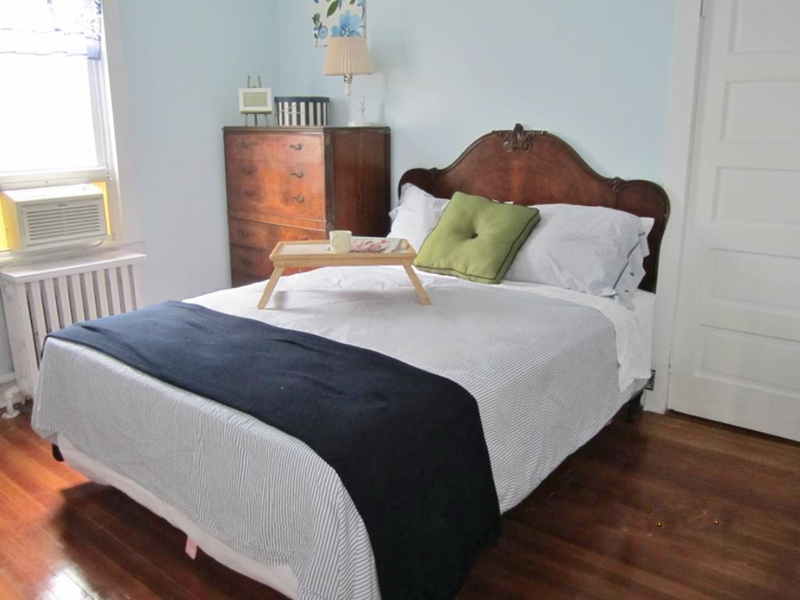 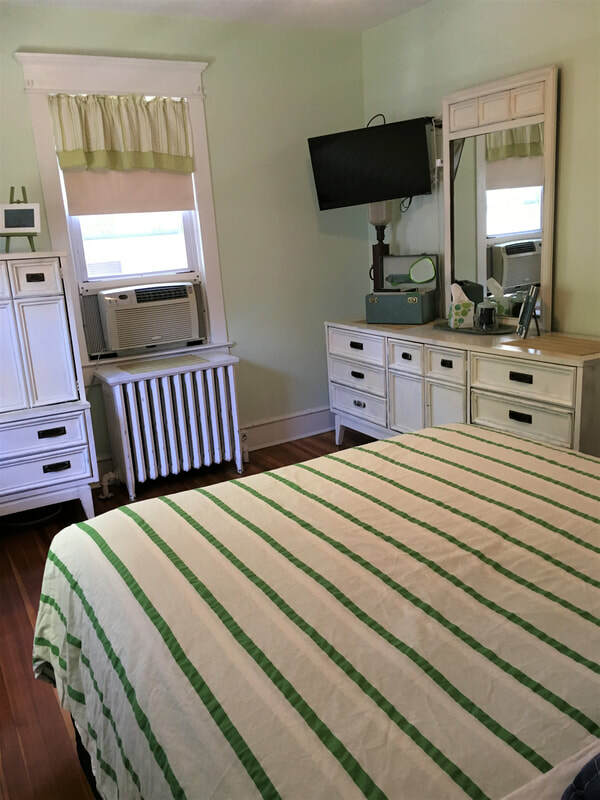 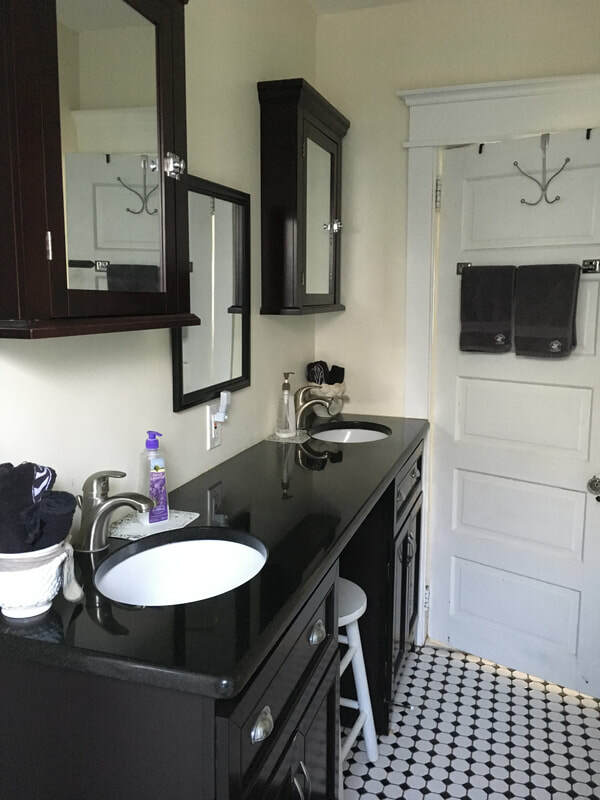 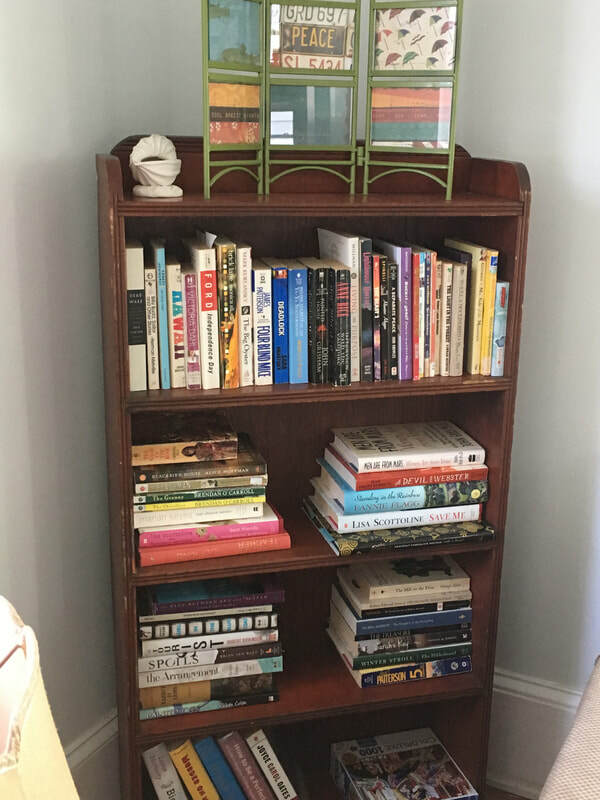 The house was unaffected by Hurricane Sandy but we've modernized both the interior and exterior to turn this charming cottage into a beautiful three-bedroom, two-bath unit for the perfect summer or off season rental for you and your family. 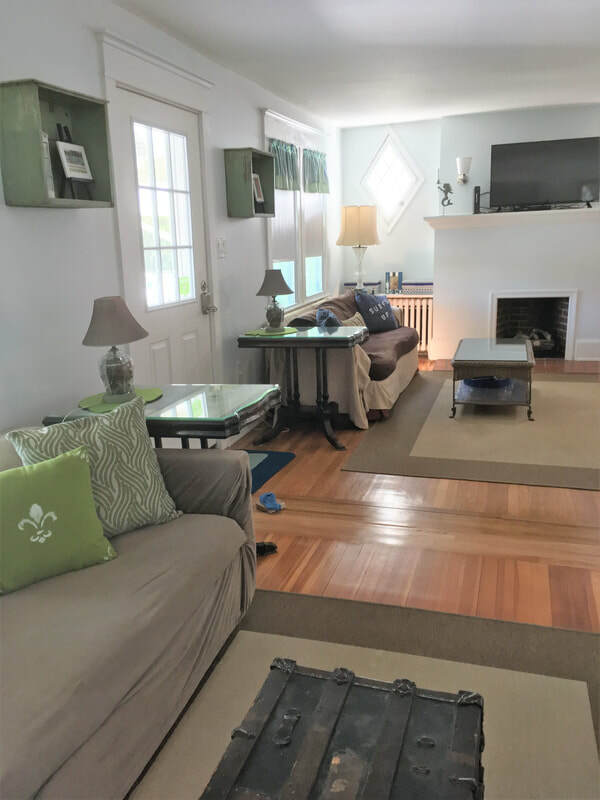 Click on photos to enlarge them and to begin the slide show..
Cottage Exterior, Porch with plenty of seating and Ceiling Fans, Living Area with sofa bed, Dining Room, Kitchen, Bathroom, Bedroom #1 (Queen), Bedroom #2 (Queen). 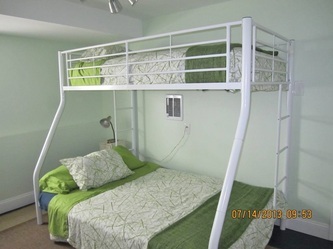 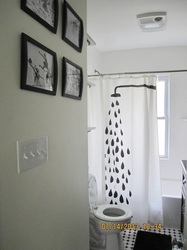 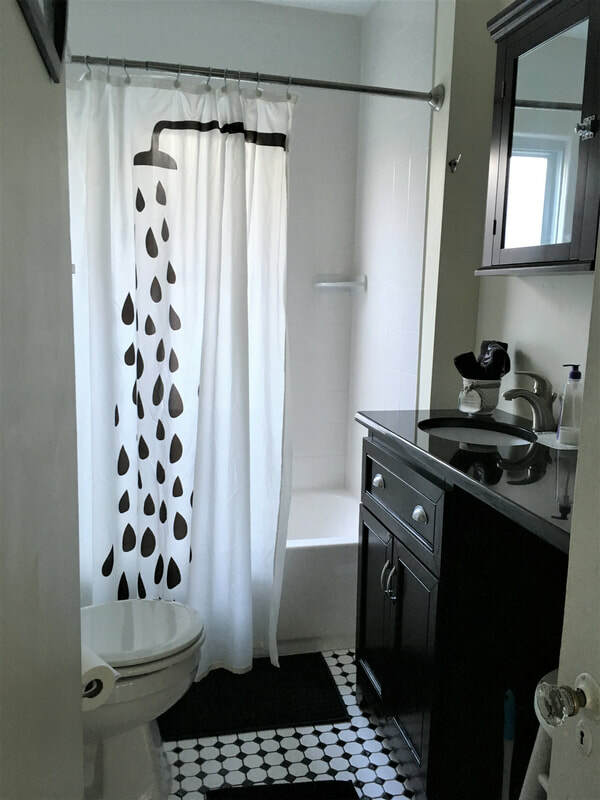 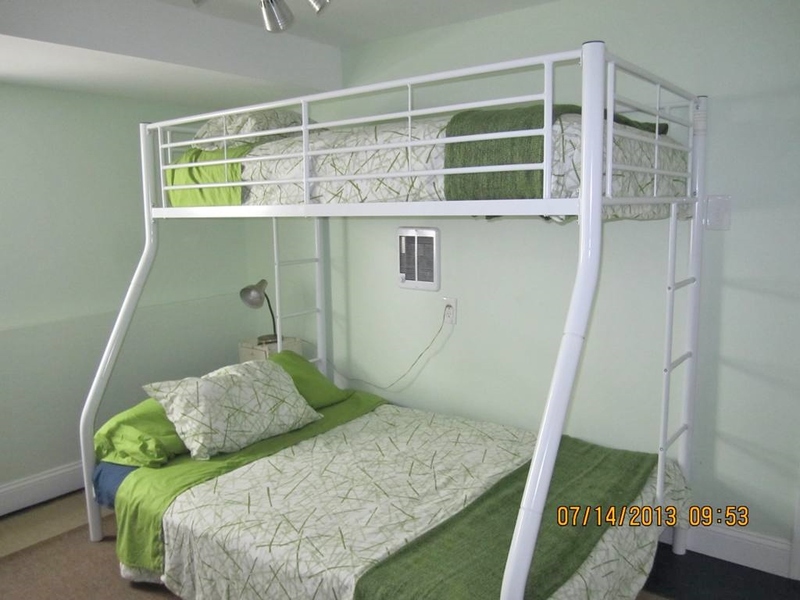 Third Bedroom, (Twin over Full Bunk), Bath with Laundry, Beach Accessories in Hallway Entrance to Patio, Patio with Dining Table, Umbrella and BBQ Grill, Hot/Cold Outdoor Shower enclosure.